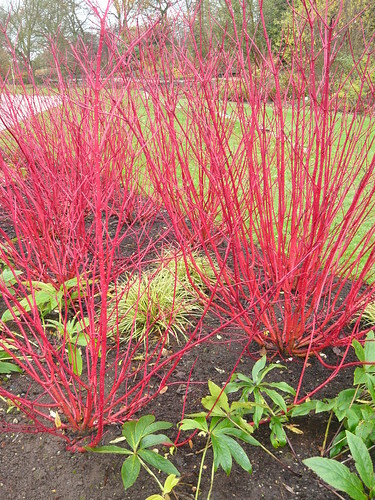 Cornus are great for your garden and the colourful dogwoods are easy on the eye. What is looking good in your winter garden or locally at the moment? Look around now because you can start on next years garden to create a sight to behold. Locally I saw several dog woods that would make an interesting winter feature in my garden if I can find the space. I am less sure about the chicken wire on my picture above but I guess it gets covered in greenery by spring. 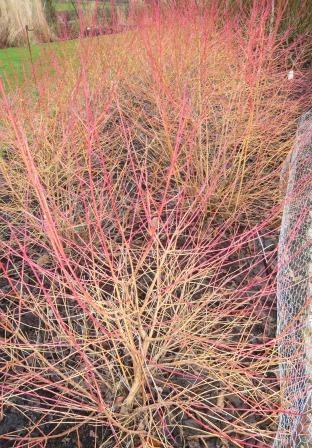 The first week of March and it was time for me to chop the Cornus Dogwoods down to size. 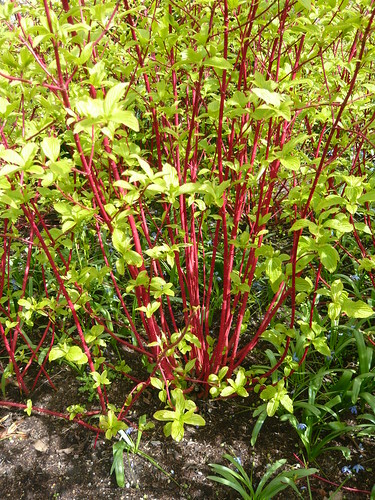 The red stems that have shown up so well during winter will never be the same again if left on the shrub so they are ‘out for the chop’. Cut all the upright stems down to within 3 – 4 inches of the ground. Water well and mulch the stump with good compost or manure to encourage new growth. Dogwoods like water! New stems will grow, show leaf, flower and be ready for another winter display come Autumn. 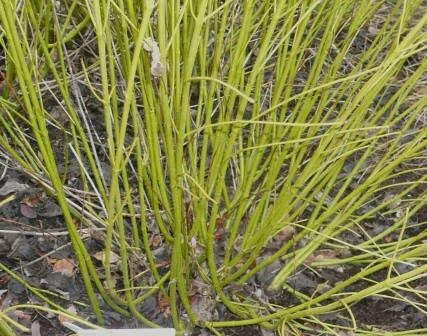 Some pencil thick stems, 6 inch long, can be used as cuttings for growing new plants. Check around the stool of the plant as you may have several new plants available from the layering of the old stems – any with roots can be severed from the main plant and relocated.